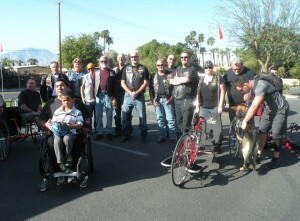 Our presentation on March 15th of the Handbike to Srgt Flores was a success. Thank you to all those who attended. Although we had no media coverage, we will try again at the second bike presentation coming up in April. More information will be posted soon.